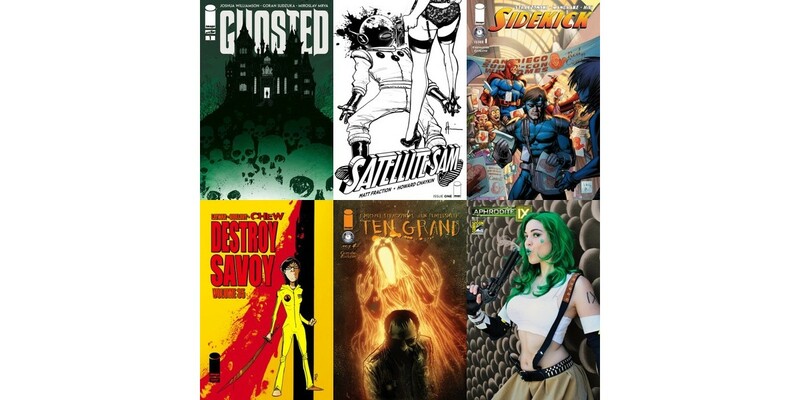 The Image Comics/Skybound and Top Cow booths will be selling exclusive editions and variants of of ten titles, including four hardcover collections, at Comic-Con International, taking place in San Diego from July 17 to 21. These editions will be available in limited quantities only at the Image Comics/Skybound booth (#2729) or the Top Cow booth (#2629). In addition, Image Comics will be offering copies of its Image Expo variant editions for sale at their booth, as well as new T-shirts and tote bags, and a variant edition of LAZARUS #2 by Greg Rucka and Michael Lark will be available at the booths of participating retailers who are exhibiting at the convention. Giving some heft to Image’s Comic-Con offerings are four hardcover editions released by the Image imprints Skybound and Top Cow. At the Image imprint Skybound, CLONE VOLUME ONE by David Schulner and Juan Jose Ryp, INVINCIBLE COMPENDIUM VOLUME ONE by Robert Kirkman and Ryan Ottley, THIEF OF THIEVES VOLUME TWO by Robert Kirkman, James Asmus, and Shawn Martinbrough; and THE WALKING DEAD COMPENDIUM VOLUME TWO by Robert Kirkman and Charlie Adlard will be for sale in limited quantities each day. The hardcover edition of THINK TANK VOLUME ONE by Matt Hawkins and Rahsan Ekedal will be for sale at the Top Cow booth.